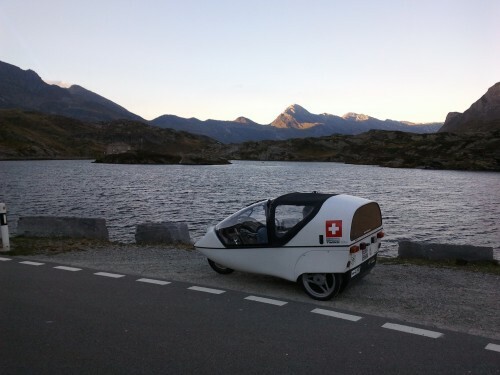 TWIKE swiss alps challenge 2012 – announced here on this site’s sidebar for some time, was a brainwave i had during my last longer TWIKE trip to southern spain this year. 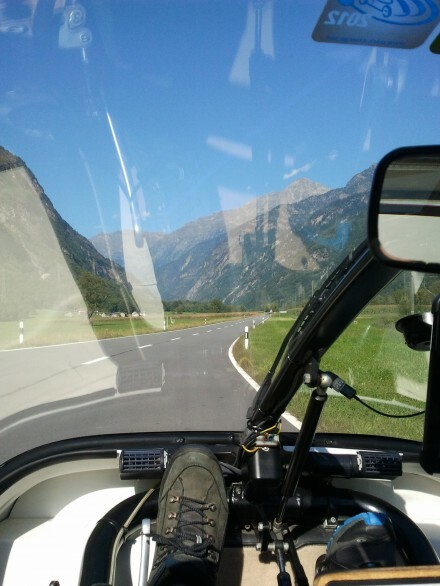 initially, i was planning to test if it was possible to cross the swiss alps with 6.5kWh worth of energy and then see how far i could make it on one charge. 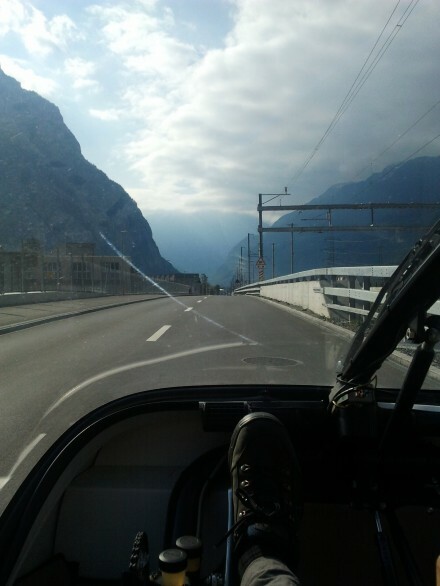 my estimate was that if i could make it to the entrance of the gotthard tunnel with about 850Wh left, i could make it to the italian part of switzerland and coast down to ambri or even further whilst recuperating some energy on the way down. overall i was anticipating on actually making it through the tunnel. lots of planning went into a new ‘red’ line and ideal shortest-route analysis. well, as things go in life, came the week-end i had foreseen for this challenge… and i didn’t feel at all motivated to do some 5-6 hours of solitary super-hypermiling. 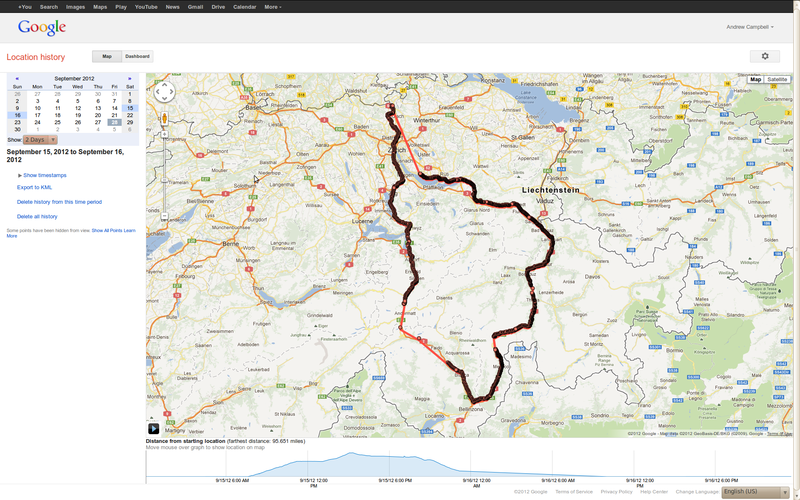 so i asked a friend to join me and changed the challenge on-the-fly to a ‘let’s see how far we get on a charge heading towards the italian part of switzerland and cross the alps and back using two different passes > st. bernardino and st. gotthard! also, during the first charge, we will write down some vital vehicle and gps data to be correlated at a later point in time. nico arrives at my house after 7am and we set off with very unsteady weather. right. did i mention i live way out in the styx? 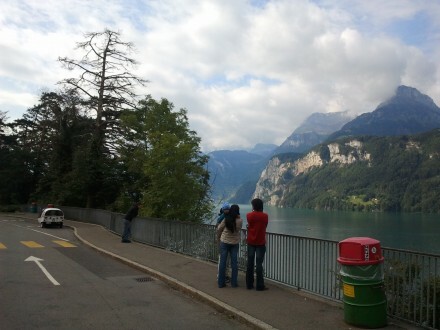 but it is very typical switzerland here. we drove at a very leisurly pace and took pictures of the computer’s data display every 5km’s after it turned out to be impractical to do it the old-school way. 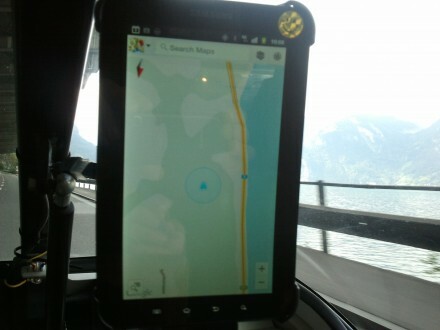 slowly but surely we get closer to switzerland’s central region. hills are turning into mountains and the roads start to hug the sides of lakes where the sheer drop goes directly into the water. vierwaldstätter lake – a very nice place, indeed. 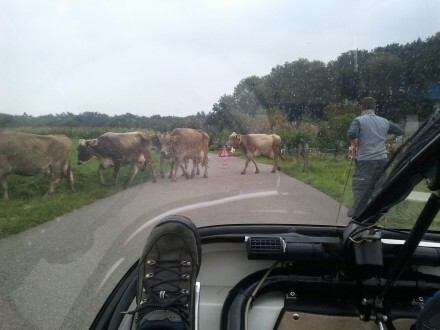 then we drive on one of the most clogged roads in summertime when about 50% of germany heads to italy – they invariably end up here (or face a lengthy detour). it’s certainly a very impressive engineering feat! axenstrasse along the beautiful vierwalstätter-lake. 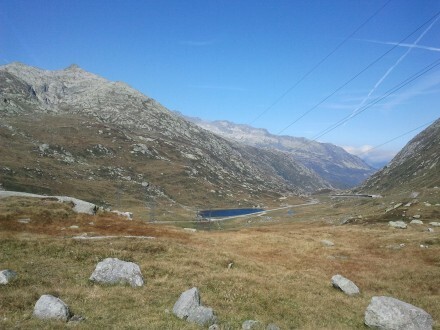 after the lake, serious climbing begins and with it energy consumption rises. 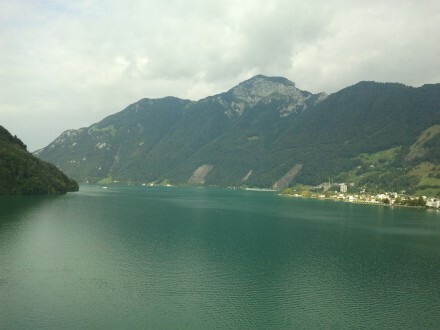 it’s worth taking the normal road up to göschenen (where the gottard tunnel starts) instead of the motorway. 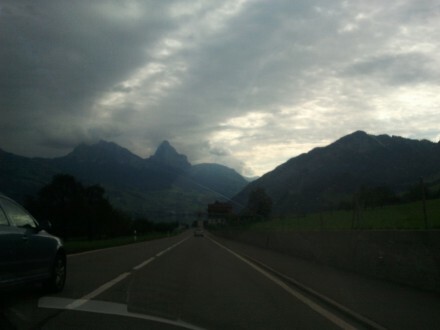 much less traffic and many scenic views one does not get from the motorway, since it has many tunnels. what’s more – we’ve left the clouds behind us and have a deep blue sky above us. it turns out to be a brilliantly warm summer day after all! 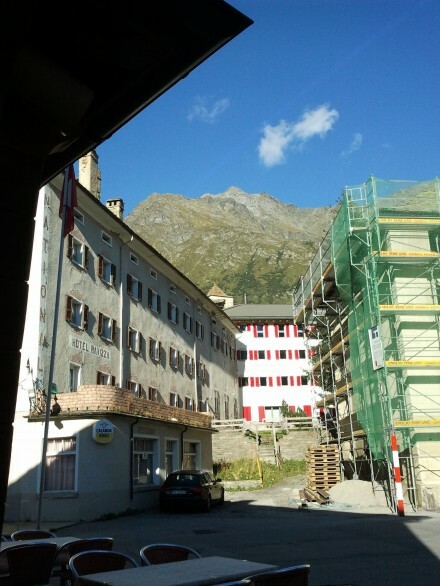 we make it to göschenen – just! 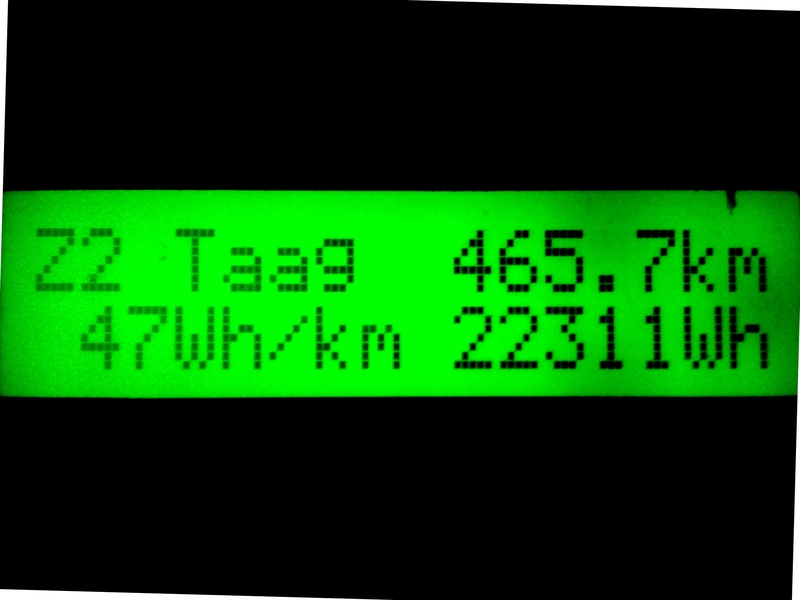 – with only 45Wh left and a very optimistic +1km range announced by the computer. this is not a problem, however, because there is a park&charge tri-phase charging station available here. 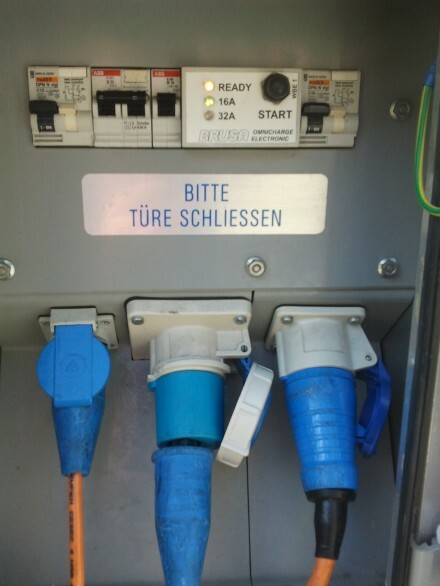 park & charge göschenen with brusa 32A plug. 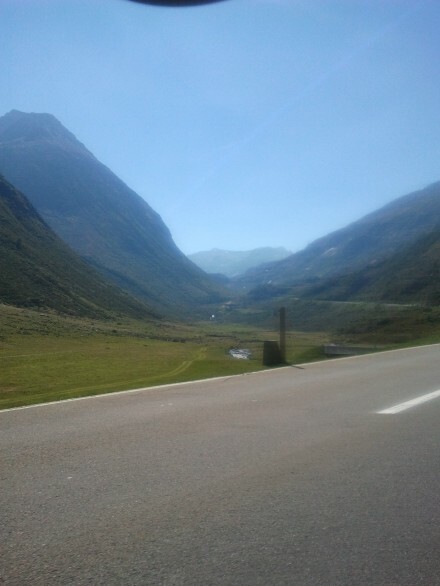 after just 72 minutes charging (1 beer and some food for us) we’re back to 100% SOC > on the road and continuing our climb towards the gotthard pass. 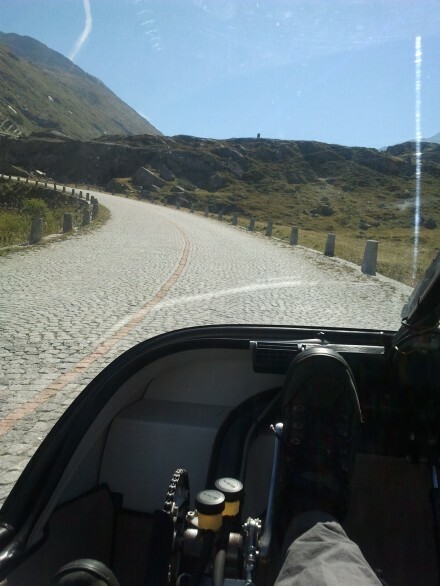 the old road up the gotthard – cobblestones are not very comfortable! ouch! 7bar tyres and hard suspension does not exactly make cobblestones a very comfortable ride! we made it! 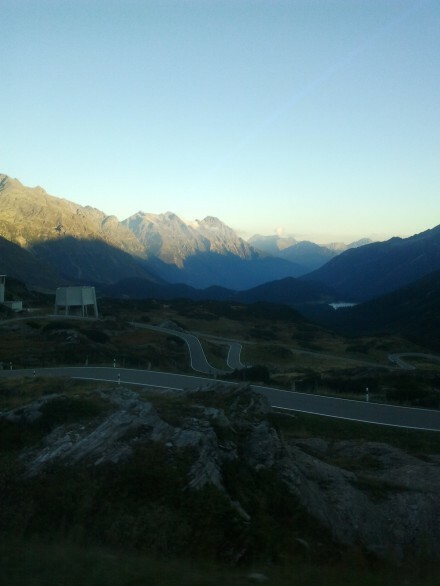 at the top we average 122Wh/km from just driving uphill. using the old road on the way back down, much of the energy will be recuperated and since we started out at about 1100m and will go all the way down to about 250m altitude, we will end up with a very decent overall average. 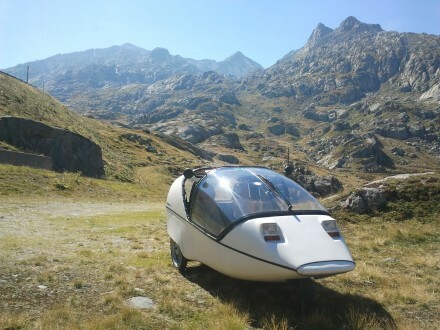 team TWIKE for a day! 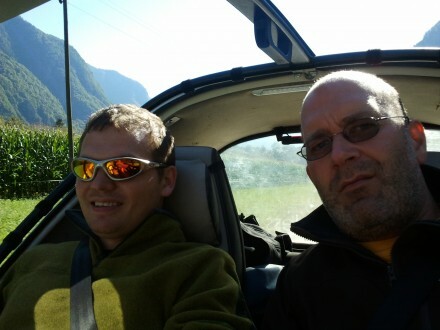 nico, my co-pilot for a day, drives part of the challenge himself and we both are glad to have chosen this day for our tour – down in ticino (the italian part of switzerland) temperatures are even higher and with 28°C make for a really nice change to the first cold and windy autumn days we’ve been having in northern switzerland! 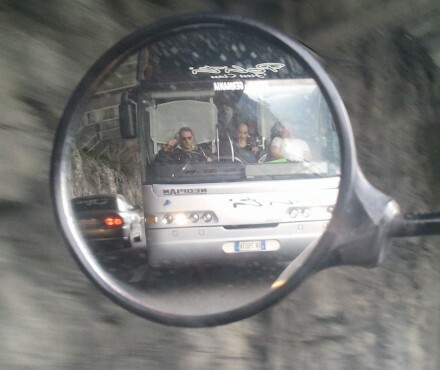 we stop quicky in bellinzona and then – still on the same charge – head back up to the st. bernardino pass. again, we choose to drive on the old road and negotiate hair-pin bend by hairpin bend. 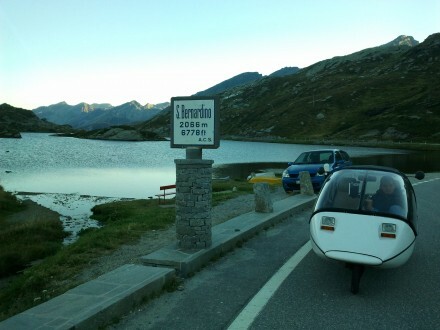 our target is to make it to st. bernardino village for our next recharge. 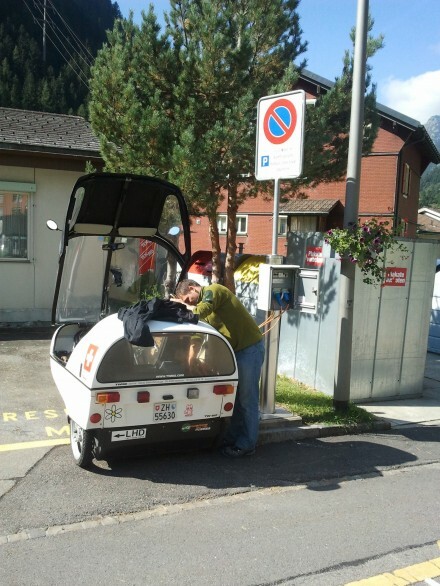 again we make it to the next charging station in st. bernardino village on the last few Wh. this time the computer even tells us that we are at -1km (6509Wh). i must add that i don’t let the computer factor in very much reserve. as described in a post this summer on my last TWIKE-trip to southern spain, any parameter used for the calculations which then are used to display range, SOC or DOD can be set to satisfy any kind of need. in my case the parameters are set to the following: i know the battery will give me about 6522Wh (at normal >18°C temperatures, obviously) before cutting out completely, this is why i set the 0% limit to 6450Wh consumption. this means that if my computer shows me -1km i’ve gone over the 6500Wh consumption limit. i know, this is cutting it very finely, but i rather know exactly what’s going on. after the charge we set out to climb the last 7kms up to the st. bernardino pass whilst outside the shadows grow longer and longer. wow, we made it again! 2nd pass in one day with an electric car. san bernardino – all the way back up to 2066m! 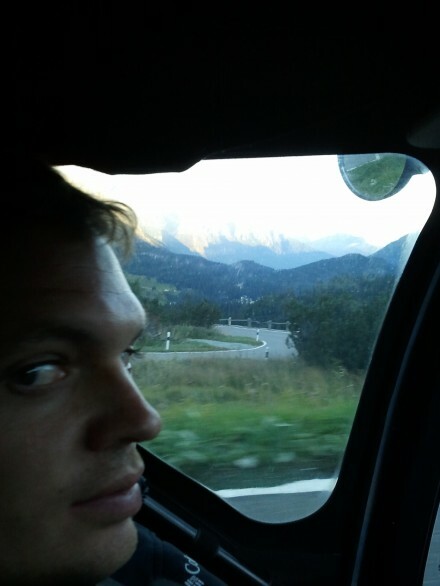 from here it’s downhill all the way to chur and onwards to zurich. darkness descends quickly and the temperatures plummet. 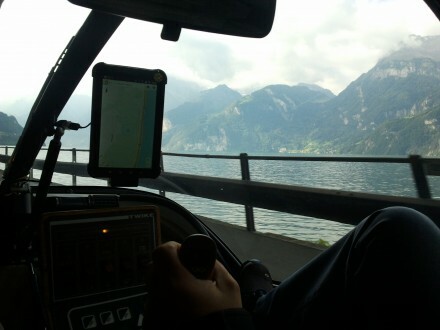 at least visibility is assured with the new xenon lights thomas möckli mounted just some weeks ago. we would have needed them in india! 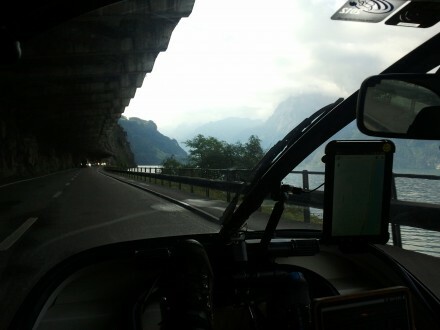 eventually, we arrive back home after a very nice and satisfying day in the TWIKE! 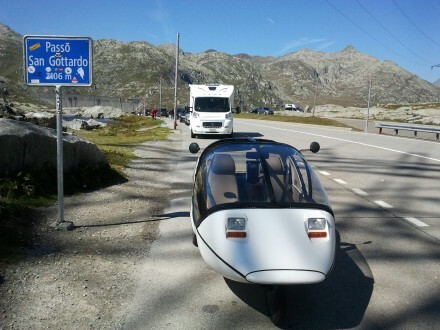 cross the alps in one day with a TWIKE > EASY! – as long as 2nd Gen electric cars cannot do this with ease… aw, let’s not go there! 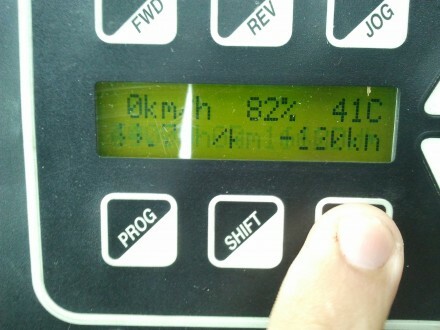 a very nice day – an efficient one, too!